Who invented the Saxophone? The name of the person credited with inventing the Saxophone is Adolphe Sax (1814 - 1894). Adolphe Sax is not only famous as the Belgian inventor of the Saxophone but also as a musician and maker of musical instruments. When was the Saxophone invented? Adolphe Sax invented the Saxophone in 1846, during the Industrial Revolution period of invention (1700 - 1860). 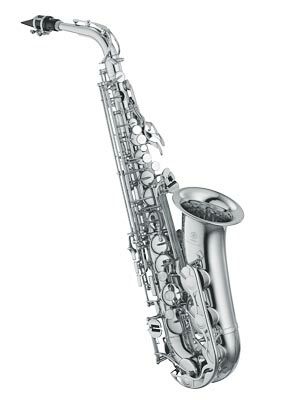 Definition of the Saxophone: The Saxophone is defined as a wind instrument of brass that has a curved, conical tube containing a single-reed mouthpiece with keys or valves that produce a mellow tone and is played by blowing. Fact 1: Who invented the Saxophone? The Saxophone was invented by Adolphe Sax in 1846 during the Industrial Revolution era of inventions (1700 - 1860). Fact 2: Who invented the Saxophone? Prior to the invention of the Saxophone in 1846, the caledonica, a small bassoon with a clarinet mouthpiece was invented by a Scottish bandmaster called William Meikle of Strathaven, Lanarkshire in 1825. Fact 3: Who invented the Saxophone? The inventor of the Saxophone, Adolphe Sax, was born on 6 November 1814 in Dinant, First French Empire, (now in Kingdom of Belgium) and died on 7 February 1894. He was married to the Spanish-born Louise-Adele Maor and the couple had five children. Fact 4: Who invented the Saxophone? The early years of Antoine-Joseph Sax, called Adolphe by his family, were spent in Dinant, First French Empire, (now in Kingdom of Belgium) where he was raised by his family. He was the oldest of the 11 children in his family. Fact 5: Who invented the Saxophone? His father, Charles Joseph Sax, was a prominent instrument designer and Instrument Maker to the Court of the Netherlands. His father taught his son music at an early age and about the highly skilled precision work required to design, develop, construct and test musical instruments. Fact 6: Who invented the Saxophone? It's a wonder that Adolphe Sax ever lived long enough to invent the Saxophone! As a boy he was incredibly accident prone. Adolphe Sax nearly died at least six times. At the age of 3 years old he swallowed a bowl of vitriolized water (aka sulphuric acid). He fell from a 3 story building and banged his head on the stone road. Then he swallowed a pin. Adolphe Sax was badly burned in a gunpowder explosion and again received bad burns due to an accident with a frying pan. He was nearly suffocated and poisoned by varnish fumes. Other accidents involved falling into a river and down a flight of stairs. It is not surprising that his poor mother never expected Adolphe Sax to survive childhood. Fact 7: Who invented the Saxophone? Adolphe Sax was however the great survivor and by the time he was a teenager he became fascinated by his father's work. At the age of 15 years old Adolphe Sax entered a new design for a clarinet into a music competition. Adolphe Sax improved the clarinet by changing the bore and the exact locations of the holes, in order to make the instrument sound better and won the competition. Fact 8: Who invented the Saxophone? Adolphe Sax was educated at Koninklijk Conservatorium Brussel (the Royal Conservatory of Brussels) where he studied music, the flute and the clarinet. Fact 9: Who invented the Saxophone? Following his education Adolphe Sax worked as an apprentice to his father and during this time continued experimenting with ideas for making new musical instruments. Fact 10: Who invented the Saxophone? The royal courts of Europe, like the Court of the Netherlands who employed his father, were great patrons of the arts and music and were always interested in extending their collections of musical instruments. Fact 11: Who invented the Saxophone? The invention of any new musical instruments were greeted with great favor, so it was possible that the extremely promising instrument design skills acquired by Adolphe Sax that would receive considerable attention from the courts, composers and music lovers. Fact 12: Who invented the Saxophone? At the age of 24 years old Adolphe Sax invented a beautiful 24-key bass clarinet. At the age of 26 presented 9 musical instruments of his own invention at the Belgian Exposition. His inventions were brought to the attention of Francois Antoine Habeneck, the conductor of the Paris Opera Orchestra that was visiting Brussels at the time. Fact 13: Who invented the Saxophone? Encouraged by the interest shown in the bass clarinet by Francois Antoine Habeneck and his success at the Belgian Exposition, Adolphe Sax made the decision to move to Paris, which was considered the centre of the arts in Europe. Fact 14: Who invented the Saxophone? Adolphe Sax moved to Paris in 1841 and began to build a reputation as a music instrument designer. The great composer Hector Berlioz encouraged his work and his innovative designs. Fact 14: Who invented the Saxophone? In just three years he had worked on improvements to various musical instruments, especially the bugle, and showed his new designs in Paris at the French Industrial Exposition in 1844. His exhibition of musical instruments became known as 'saxhorns'. Fact 15: Who invented the Saxophone? His range of 'saxhorns' consisted of a family of mellow toned valved brass instruments that had conical bores and deep cup-shaped mouthpieces. Adolphe Sax invented instruments called the saxotromba, saxhorn and saxtuba but the saxhorn family would also eventually include valved, brass musical instruments such as the flugelhorn, the euphonium, the alto horn and the bass tuba. Fact 16: Who invented the Saxophone? The saxhorn family of musical instruments was patented in Paris in 1845 by Adolphe Sax but the saxhorns became a subject of fierce debate as some critics insisted that the instruments were not new and were just a development of previously existing instruments. The Adolphe Sax saxhorns eventually became the subject of prolonged lawsuits. Fact 17: Who invented the Saxophone? In 1846 Adolphe Sax invented and patented the Saxophone June 28, 1846. His patent for the saxophone included drawings of the mouthpiece of the clarinet and a detailed drawing of an ophicleide, the bass version of the old keyed bugle. His patent application then provided a detailed drawing of the baritone saxophone, with next to it, rough sketches of the full range of saxophones with smaller versions up until the soprano saxophone. Fact 18: Who invented the Saxophone? The invention of the Saxophone and the saxhorns were adopted by French military bands and soon became popular in military bands across Europe. Fact 19: Who invented the Saxophone? Adolphe Sax went on to win the gold medal at the Paris Industrial Exposition for the invention of the saxophone in 1849. Fact 20: Who invented the Saxophone? The invention of the saxophone by Adolphe Sax generated jealousy and anger from his critics and other instrument designers. Fact 21: Who invented the Saxophone? Adolphe Sax went bankrupt three times in 1852, 1873 and 1877 due to battling lawsuits from other designers. It was Emperor Napoleon III, an admirer of the saxophone, who prevented a fourth bankruptcy. Fact 22: Who invented the Saxophone? When his 10-year patent for the saxophone ran out, the competitors and rivals of Adolphe Sax began designing their own versions of the instrument. Fact 23: Who invented the Saxophone? Adolphe Sax died in Paris on February 7, 1894 at the age of 79 years old. He was buried at the Montmartre Cemetery in Paris, France. Fact 24: Who invented the Saxophone? It was not until 1910 that the genius of Adolphe Sax was fully appreciated. It was the dawn of the Jazz Age in America when the saxophone came into its own when the instrument was popularized by the music of Charlie Parker and John Coltrane. Fact 25: Who invented the Saxophone? Adolphe Sax will always be fondly remembered by all music lovers as the man who invented the saxophone. Who Invented the Saxophone - Adolphe Sax - Antoine-Joseph Sax - Inventor - Invention - Saxophone Definition - Meaning - Famous - Important - Saxophone History - Timeline - Innovation - Significant - Development - Musical Instruments - First - Definition - Kids - Facts - Information - Info - Who invented the Saxophone - Adolphe Sax - Dates - When - Why - Impact - Purpose - Use - New - Old - Amazing - Best - Definition - Meaning - Awesome - Cool - Belgian - Saxophone History - Timeline - Who Invented the Saxophone?